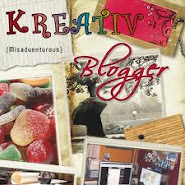 A Potpourri of all my experiences, opinions, feelings, silly stories and Passions!! Boys! This is a huge topic. Where and how do I start? When I was pregnant with my first born, I wanted a boy. God listens to you sometimes, you see. Why I wanted a boy? Because we are two girls and I thought boys had a much better life than girls. Let me not get into that part. Talking about the little big man of my life, he is a handful. As a toddler, he kept us on our toes round the clock. If he was silent for five minutes, you had a plethora of surprises waiting. One day, I didn't hear him and I asked, what are you doing? He said he was bathing with juice. Bathing with juice? What does that look like? 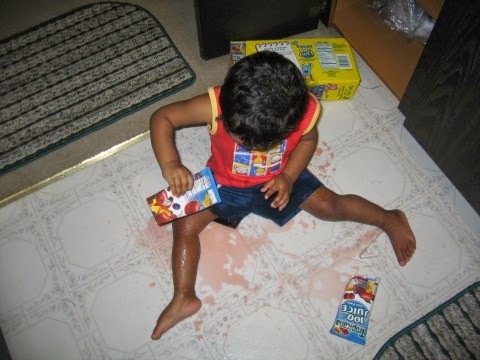 I rushed into the kitchen only to find that he was spilling juice on all the open parts of the body. He was 18 months old. Sigh!! 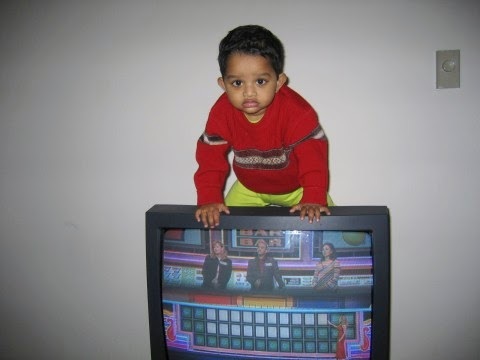 He would climb on top of the T.V. You want proof? This is the bath with juice! Did anyone try this anytime? The surprises didn't stop there. One day he went missing in the apartment complex. That episode deserves a post in itself. We finally found him in the parking lot of a different complex across the street. When asked, he says: “I went to look at the cars”. He was 4. Two days before the annual test, he says: “Amma, I think I have the STAR test this week”. I jump to my feet screaming, you think??? What do you think? You either have the test or do not have the test. Right?? Ahh well…I think I do. That’s my boy. He forgets his lunch pail at school and when questioned, “See you have one dish less to wash”. He loses the check I give him for the cafeteria account. I said, no school lunch till you find it. “Well, I saved $50 for you at least”. Pooh!! He remembers to get his dairy signed when I am right out of the door. While picking him at the day care one day, I scan him. He goes, what's wrong now? The people around me got the meaning of my looks and burst into laughter. He is puzzled. "Why are you all laughing?" "How many times did I tell you that you don't wear checks shirts and plaid shorts together?" I at least wore clean clothes. Another sigh!! My rant on using moisturizer or combing his hair every morning is like daily suprabhat. There is no end to his antics. If you have got sons, what tales do you have to share? Since you wanted a boy, you can't blame anyone else for your misery :-D. Girls are no better though. You know exactly what I have to say about my boys, don't you? Bathe with juice. These kids are getting innovative by the day :D.
What immediately came to mind was when I was making meatballs for dinner and as I rolled them and put them on the plate I could not understand why the pile was not getting any bigger. My 3 year old son was playing "catch" with our dog. Hahah....he was a master of naughtiness when he was a toddler...he is better now :) people who knew him then, still ask me, has he changed? I fully commiserate! :D No, actually, I'm happy to have more people who understand what it is to have boys!! hahahah who knows he might turn into some traveler or mountain climber. Lovely.... Boys are always Boys.. even when they become men :P :D lovely pics and lovely write up! I love that snapshot of him on top of the TV. How did you sit still without grabbing him? And kids are too smart for our benefit these days ;) They go all mature when you least expect it ;) Cute post! I know right? How can someone even think of that? okay, now I found one person who I can sit across cross legged and say, I am past that phase....pheww!!! Don't be jealous...LOL...I can totally imagine your house. Very cute Boy. Climbing on a TV is simply fantastic!You will never know when all of a sudden you will realise that he is a grown up boy. (when he starts shaving for the first time). He is already, grown up maam. Girls you can cuddle them even when they are in college. But with boys, you cannot. Sometimes I look at his chin or mouth, he says, what? do you think I am in puberty already? If you can really enjoy kids, they are a lot of fun for sure. :) Thank you dear. Totally a brat! Glad I have tided over that period and got myself into another equally stressing. He is a teen! ohh...don't tell me about it, Janaki. He will start middle school next year and I am already dreading. OH MY! I loved this. Bathing with juice!!! You have to love it. I have two boys myself. Daddy is traveling for work (2 weeks! HELP ME!) and I asked them to help me "shut down" so we could go to bed (just cleaning up, turning off lights, etc) they immediately pretended to be dogs, started barking and said "Dogs can't help adults clean up, they'll get everything dirty" Can you imagine? Yes, I think you can! LOVED THIS ONE! Thanks for the laugh. He sounds like a handful. Never a dull moment. Ha ha ha... he provides you a complete entertainment, free of cost. :) He is sooooooo adorable. A Confused soul who is Creative in the gene, Impulsive in talk and Practical to the core. One Evening And An Other!